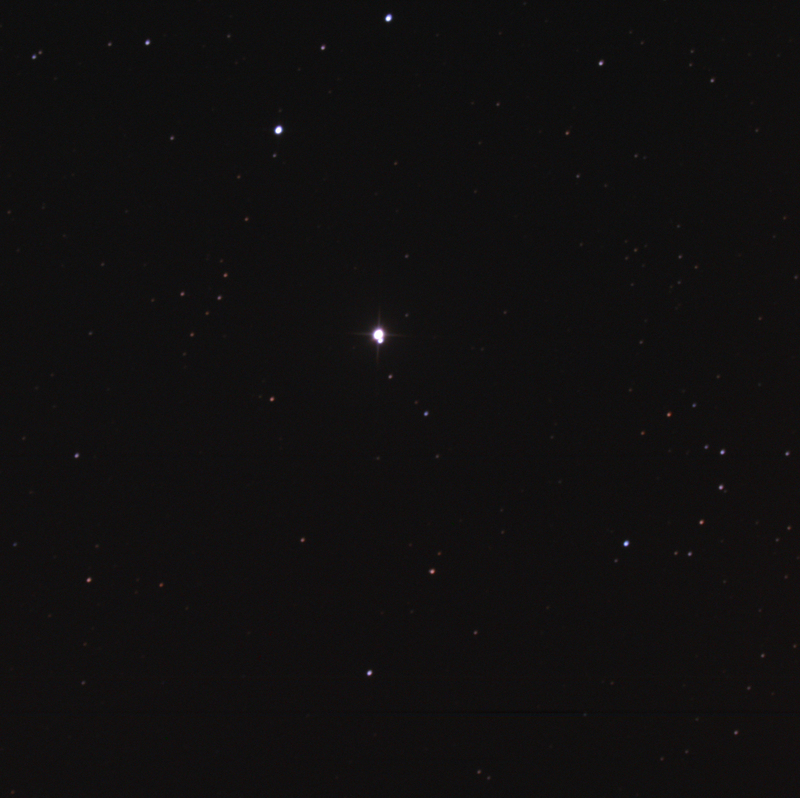 Processed double star Σ680 aka HR 1741 and HD 34579 in full colour. Imaged back on 6 Oct '17. FITS Liberator, Photoshop CS2. Luminance 4x20, RGB 4x10 each. I think the primary is yellow or gold. 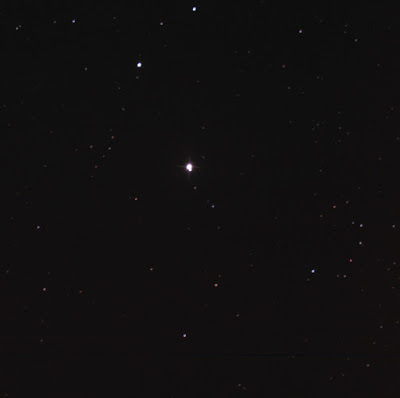 When zoomed out, the secondary looks orange; when zoomed in close, the B star goes white. There are lots of colourful stars in the field, blue through red.